No cure and no cause, just a very good reason to make this new track from Fish Go Deep our tune of the day. It’s lovely and although a bit more up-tempo than we like to be on a Monday, its deep groove and chants just make it ideal listening. Two mixes to choose from, both equally good, although not that different. Our preferred choice is the original with its piano chords, Rhodes keys, infectious 4/4 beats and the choir/gospel style chant that plays throughout it. Such a catchy groove. 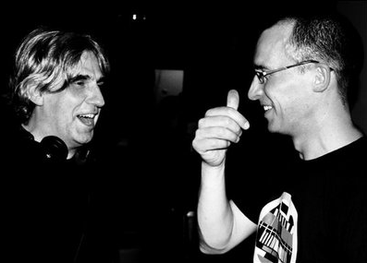 Fish Go Deep are Greg Dowling and Shane Johnson, Irish DJ/producers who have previously released tracks on labels such as Strictly Rhythm and NRK. 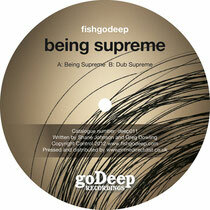 This track, ‘Being Supreme’, is the lead track from their second album, ‘Draw The Line’, which they will be releasing on their own imprint Go Deep Recordings. Obviously, if this is a taster of what’s to come, then this is an album we’re well looking forward to. Single out 15th June.